Last year when my tweeting became a bit more frenetic, the time I was tweeting, that is, around 5am Adelaide time when I am often up, meant I could quickly connect with my friends overseas, and so, they started to set their clock by my first tweet, and nicknamed it #SwafferTime!!! Since travelling and also partly because of jet lag my atomic clock has been set into turmoil, and #SwafferTime is all over the place. Not even I can work out what time it is, or much of the time, what is going on!! 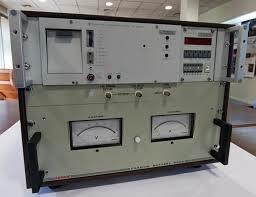 My imaginary axe murdering friends in the UK also likened my timing to that of the atomic clock! I must say though, jet lag and odd sleeping patterns has meant I can chat more to them and my friends in Australia, in ‘real’ time while travelling! Sometimes, my husband says there is something called the #SwafferFactor, as almost everywhere we go, I seem to meet people I know. When my darling husband and I landed in Sydney last week, in transit for New York City, the cab driver who picked us up was the same one who had picked me up about a month ago! We connected, and from there on, it was super friendly to the point he went past where we were meant to get off! I’ve not met anyone I know since being away though, which I suspect is slightly disappointing for Pete! Even my ex-husband talked about the #SwafferFactor, although hashtags were not in then, and when he and I flew anywhere, he used to add in bold the very small country town of Rudall closest to the farm I grew up in into the Australian map in the airline book! Anyway, enough about the ex…which is in fact, moderately amazing he actually made it onto my blog!! !